The Old Post Office is a Grade II listed building just across the road from the Coalbrookdale museums and just up the road from Ironbridge. It is right in the heart of the World Heritage Site and makes a perfect base from which to explore the seat of the Industrial Revolution and the Ironbridge Gorge. The area is popular with walkers and cyclists and there are a number of great walks on the doorstep. There is a secure cycle shed at the back of the house. If you don't fancy driving (or walking) there is a bus stop right outside where you can catch a bus to Ironbridge or go into Telford to do some shopping or visit the large town park. 3 minute walk to The Museum of Iron. 3 minute walk to Enginuity (interactive museum for children). The Old Post Office is on the road to Ironbridge. With the bus stop right outside please expect some traffic noise. There are five steep steps up from the pavement to the house. Please consider this if you have impaired mobility. Our obsession with this area started five years ago when we visited for the first time. The industrial heritage is stamped on Coalbrookdale and the surrounding areas in a charming and fascinating way. The history is all around in the landscape and the architecture. This house had enough space for us to stay in and was right next to the Museum of Iron and the site of the world's first blast furnace which is the centre of our interest. The Old Post Office was also itself a piece of the area's history. On the floorboards in the front room we could see the marks made by a hundred years of heeled shoes as people waited at the counter. We have yet to uncover a picture of the post office in use but we have discovered it was originally owned in 1905 by Mr. John Dorsett. His son, John P Dorsett, was the butcher in the shop next door. The house needed a lot of work but Phase 1 is now complete. There is a new kitchen and bathroom and a full redecoration. Our listed building application for heritage double glazed, hardwood windows has been approved and upstairs windows have been replaced. Downstairs is scheduled for 2019. We will be continuing to improve and restore the house in the future. Quiet and Comfortable, perfect for exploring the area or a relaxing break away. 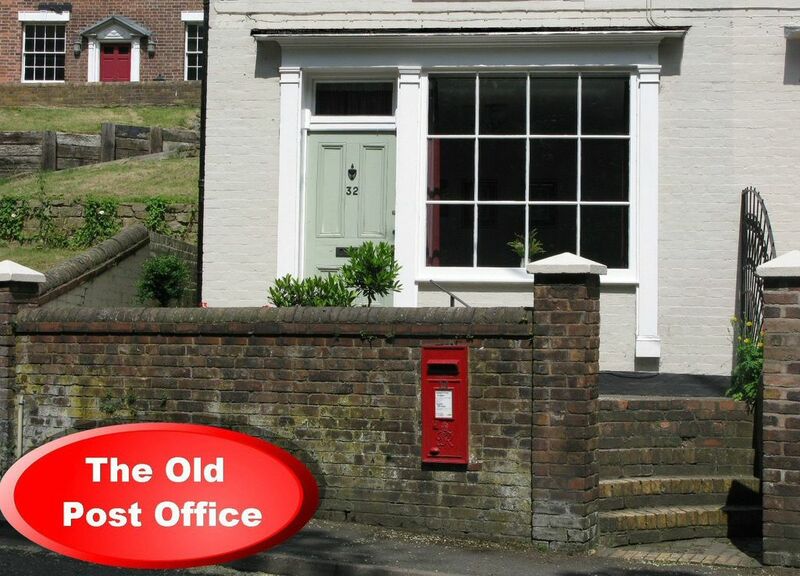 The Old Post Office is spacious and comfortable and is ideally placed for exploring the surrounding area both by foot and car. Parking was on the road outside but was easy and never a problem. Although the house is situated by the road we found the location peaceful and quiet during our stay. It is a short stroll to the centre of Ironbridge and most of the local museums are walkable distance away. Dale End Cafe is at the bottom of the hill (about 10min walk) and does a good cooked breakfast. The Black Swan at Jackfield is good for meals and is easy to combine with a visit to the Jackfield Tile Museum. Blists Hill Victorian Town is well worth a visit (allow at least half a day). The Royal Air Force Museum at Cosford is a short drive away and will keep you occupied for a full day and it's free admission (just pay to park). We had a very relaxing week at the Old Post Office and very much enjoyed our stay. We hope to be back soon. Very comfortable house in excellent location. The Old Post Office is perfectly located for the Coalbrookedale museums and is also within walking distance of Ironbridge itself. The house is well equipped, spacious and nicely decorated. We really enjoyed our stay. It's just the right size for a family with two children. This is our second stay at the post office and it won't be our last. Well situated for all the museums and this time we found a lovely park at the bottom of the hill. Granddaughter loved it. Great cottage. Beds very comfortable. More spacious than photos show. Some more serving bowls (eg salad bowl) would be good, but not a deal breaker. We had a great time ideal area lots to do some great pubs. We had so much fun in Coalbrookdale and the surrounding areas. We bought a passport pass for the Ironbridge Museums which was great, with Enginuity being a stones throw away from the cottage it was a brilliant place for the children to go explore and use up bundles of energy! We also managed to get to the other museums - some walking distance and others a short drive.